Prepare your meals with a 5-in-1 food cutter. 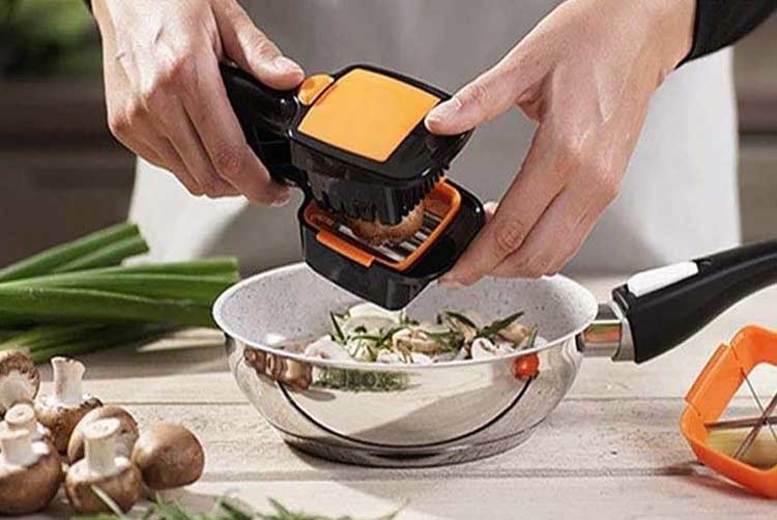 Choose between three different blades and a dicer! Can also be used as a food container with a lid. Chop foods of all shapes, sizes and textures easily and efficiently. Made with stainless steel and ABS material.